It is a common thing to see that your twin flame doesn’t recognize you. The same thing happened to me. My schoolmate, now my husband, fell in love with me at first sight. He tried to talk to me and said that he felt a deep connection. I didn’t like him at all. I had other relationships with him, but he stayed focused on me and waited; even though, we didn’t talk for about nine years. He was in contact with my friends. Also, now and then, my friends used to tell me that he’s still into you. Suddenly when I broke up with my ex, he appeared from nowhere and asked my hand for marriage. I was heartbroken and accepted his proposal. We got married, and now I recognize he is my twin flame. There are so many things that happened when we were apart, and in my opinion, these are the reasons why I or other a twin flames are unable to recognize their soulmate/twin flame. My Twin Flame Does Not Recognize Me? Timings matter a lot in recognizing your twin flame. If the timing is not right and your twin flame confesses their love again and again, you won’t accept. When your soul is ready only then you will recognize your twin flame. In my relationship, my husband is pretty mature. His soul recognized mine long before I knew the meaning of true love and twin flames. I always say to my husband that if I had said yes to you right away on your first proposal, we couldn’t have been happy like we are now. I used to be stubborn and mean. I could have been same with him, and we would have broken up because of my bad attitude. However, all the time that we spent away, I somehow became the person he wanted me to be. I become good at many things. I respect him now for who he is; I wasn’t like that; I was disrespectful. All the time, the twin flame takes to recognize the true love, helps them to improve and become a person who can accept and carry on the long-term relationship. Nobody wants to live alone. All the bad experiences of the ex-relationship make you learn, and you don’t want to repeat the same mistake. I did same, and it helped me to have a happy life. Not only your twin flame is growing in the separation time, but you are also learning a lot as well. In my case, my husband’s patience has improved. He also groomed himself in a way that I couldn’t reject him anymore. My experience of twin flame relationship taught me one big lesson that when your twin flame is not recognizing you, it is for good. 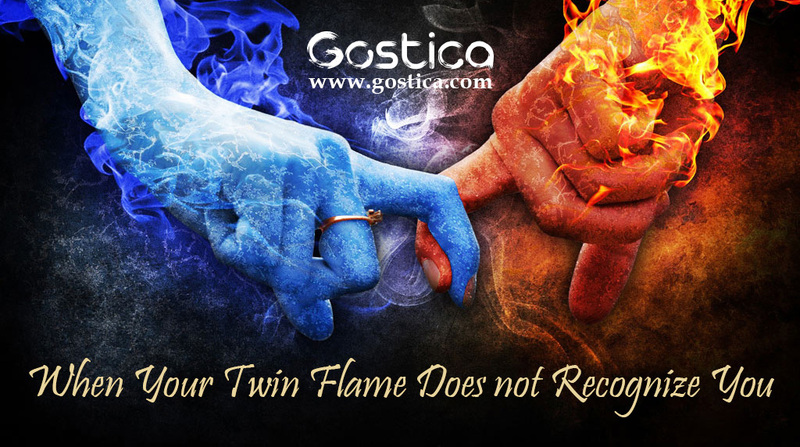 If you are sure that you have found your twin flame and he or she doesn’t recognize you, you should be patient because sooner or later, your twin flame will unite with you. This is your destiny, and you should trust it. Instead of thinking about, “why my twin flame does not recognize me”, you should focus on staying positive and improving yourself.